In Kerala, the media's planned festive hype around Onam was drowned even before it could surface, with this century's worst flood hitting 14 districts of the state. Onam is a marketing occasion for the electronic media in the consumer paradise that is 'God's Own Country', but it was washed away amid news of the death and destruction that accompanied the deluge. 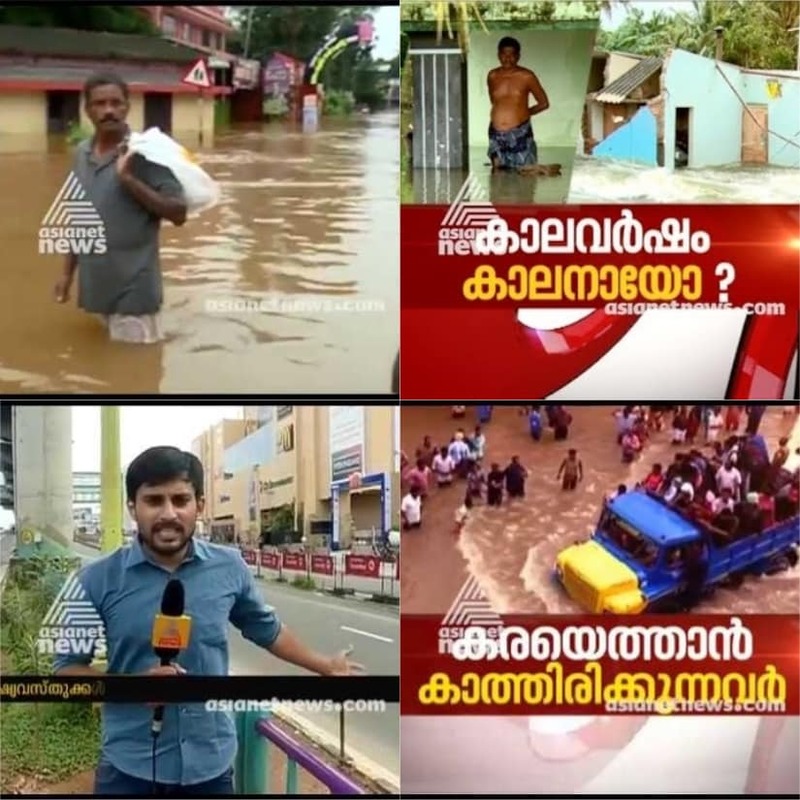 The coverage of the Kerala floods brought the instant attention of lakhs of viewers towards Malayalam news channels, which closely monitored the situation minute-by-minute, reporting on the plight of those affected. What was amazing was the speed with which the regional channels deployed reporters at various dangerous locations even as roads turned into fast-flowing rivers, houses and trees crumbled along with mountain slopes, and human life was caught in the torrential current of water. 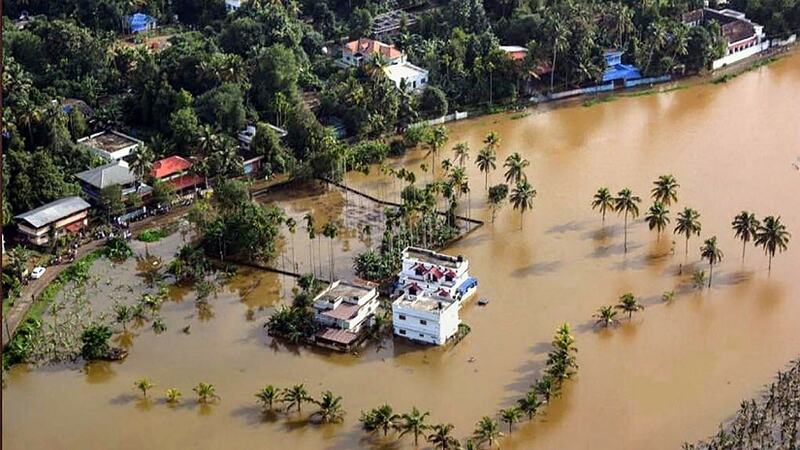 Leading news channels like Asianet News, Mathrubhumi, Kairali, Manorama, Surya and others bombarded viewers with visuals of submerged houses, the insistent force of the water, vanishing bridges and roads, people marooned on the rooftops of their homes, and of course the rescue operations by the armed forces and local volunteers. the corridors of the state Assembly, everything is left or right (yet may never be considered wrong). Coalition politics has its own advantages; periodically, the Left will lose the mandate to the Right, so the media is used to pulling off a balancing act. While mainline channels showed the vulnerabilities and impending dangers posed by the aggressive flood waters, the smaller channels also broadcast location-based interviews of people waiting to be rescued. Jai Hind — a channel considered 'closer' to the Congress party — initially questioned the state government for not handing over the administration to the armed forces. 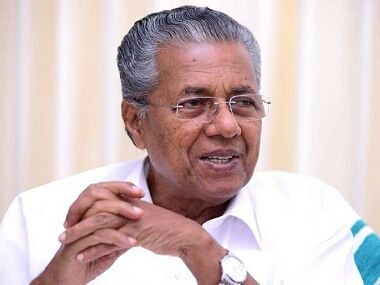 Another investigative channel, Mangalam TV, showed clips of minister K Raju who spoke about the grim situation due to rains and floods on 15 August, only to take a flight the very next day to Germany to attend an Onam programme there, leaving the people and the state to God's mercy. Asianet, Mathrubhumi, Manorama, Kairali, Janam and Amritha channels extensively covered rescue operations by NDRF (National Disaster Response Force) and relief camps from different districts of the state — from Wayanad to Idukki. Landslides, roadblocks, rivers flowing over bridges and the grounded Kochi airport turning in to an island with water on all sides — these were the visuals that one found on the news. 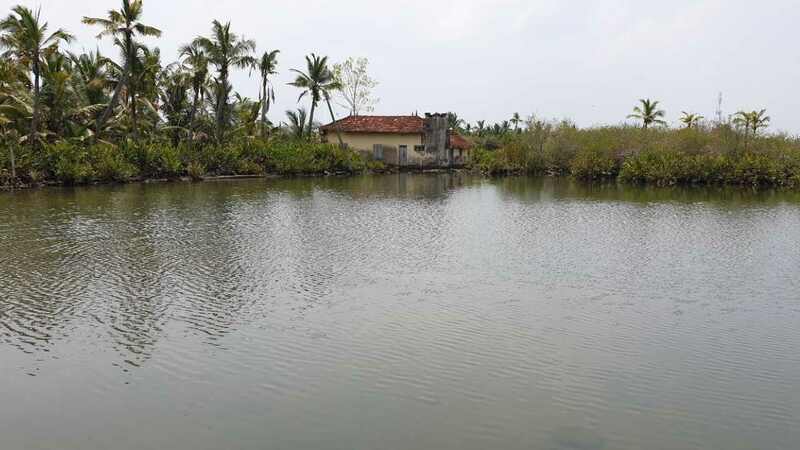 The live coverage of watery hell unfolding at Chengannur, Allapuzha, Munnar, Aluva, Paravoor, Chalakudy, Kudran, Nelliampathy, Wayanad and other places gave a dramatic picture of the situation as it unfolded. In fact, all the channels highlighted the story of a pregnant rescuee who was airlifted to a Naval hospital and subsequently gave birth there. DD Malayalam had lined up experts from different fields in a debate on the floods and the abuse of environment and ecology. Reporter channel probed the rain and flood situation from an astrological angle. 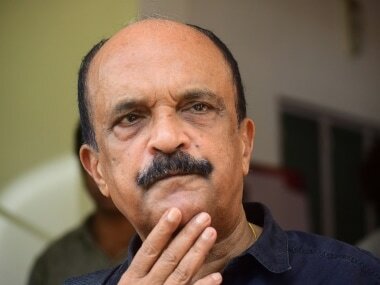 Now almost all channels have shifted their cameras to pan onto the damaged houses from within, on the dead animals, conditions in the relief camps, relief materials piled up at the Trivandrum and Kochi Naval airports. 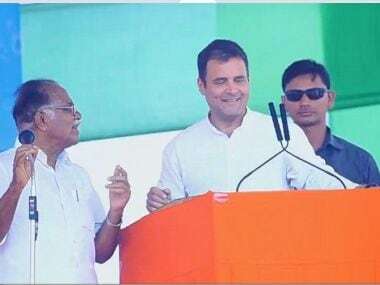 Politicians, activists, celebrities and Prime Minister Narendra Modi's visit to Kerala and the joint meeting with chief minister Pinarayi Vijayan have also dominated TV screens. The Malayalam media, however, could not get on board Thiruvanthapuram's star MP Shashi Tharoor during this crisis. Environmental experts Prof Madhav Gadgil and Dr Krishnaswamy Kasturirangan's Committee Reports were touched upon by a few channels; however, a full-fledged discussion would have been purposeful. The entire focus of channels was on the rescue and rehabilitation measures in various flooded areas as this was in the larger interest of diaspora Malayalis living outside the state. Of course, the heroic service of the fishermen with their boats cannot be ignored, their contribution needs to be showcased besides the selfless service of Sewa Bharati volunteers. The news channels also failed to highlight the lack of a proper sewerage and solid waste management system in the state. Flood waters were flowing through the road as floodplains were occupied by houses and buildings — without an effective drainage system — in many towns. Meanwhile, social media was on another tangent with views and counter views regarding "the curse of Sabarimala Ayyappa causing the Kerala floods". TV channels did not give credence to such views. The National Disaster Management Authority (NDMA) should have also received a prime time slot for educating both policy makers and the people in general on how to combat a natural crisis. Another important issue which most of the channels could not stress upon through their numerous panel discussions was about the reservoir and dam management during such critical situations. The state government should have handed over dam management to the Engineering Task Force (ETF) of the Army, they would not have waited till the dams reached danger levels to take action. The media also could have given a likely flood map with the help of experts (a contingency plan was not in place). It seemed after 1924, the state government's planners never expected floods of this magnitude in Kerala. As usual, priority was given to political views, opinions and government briefings. Overall though, the Malayalam channels — despite some shortcomings — have done a commendable job of covering the Kerala floods, within the limited time and resources available.